Cinnamon Leaf essential oil has an exotic, hot, spicy aroma. Cinnamon oil has a warming, invigorating, restorative, uplifting effect that is good for the circulation, colds and flu, aches and pains, nervous debility and digestive complaints. Cinnamon Leaf essential oil is steam-distilled from the leaves and small twigs of a tropical evergreen tree. There are two types of Cinnamon oil, one from the inner bark and one from the leaves. Cinnamon bark oil is not used in aromatherapy as it a strong skin irritant. 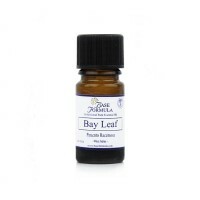 Cinnamon Leaf essential oil has stimulating, warming, reviving properties. It is particularly good for stiff joints and muscles, poor circulation and for older people in winter to warm both mind and body. The therapeutic benefits of Cinnamon oil have been recognised since ancient times and it has long been used as a perfume and incense. Cinnamon was regarded as a 'precious oil' by many cultures and as such it makes a luxurious addition to any massage, room fragrance or bathing blend. Use in moderation. Max 2 drops in an aromatherapy bath and 1% concentration for massage. Avoid in massage if you have sensitive skin. Avoid contact and nearness to mucous membranes i.e. around eyes, mouth or intimate areas. 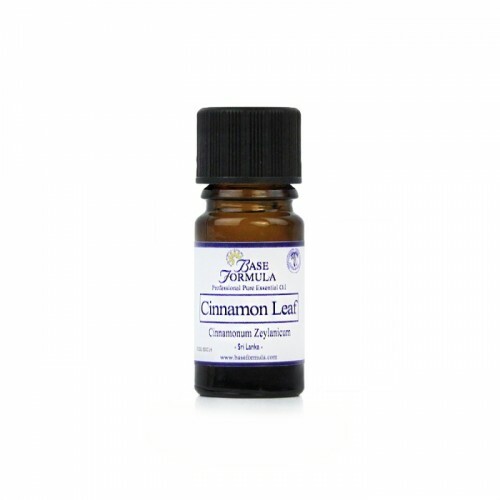 Cinnamon Leaf essential oil was traditionally used for treating warts. It is not however generally recommended for use in aromatherapy skincare products as it can be an irritant. Cinnamon oil has an invigorating, uplifting effect and can help fight nervous debility, stress, exhaustion and feelings of depression or failure. Cinnamon Leaf essential oil has powerful antimicrobial and antiseptic properties that can help fight off colds, flu and other infections. It calms the digestive system, helps with period pains, and eases muscular and joint pain associated with rheumatism and arthritis. It can also help to improve the circulation which makes it useful in Winter for warming the extremities. Cinnamyl Alcohol 1%, Cinnamal 3%, Coumarin 0.3%, Eugenol 85%, Benzyl Benzoate 4%, Linalool 4%.